The narrow plain of the Central Valley stretches for over 300 miles southwards from Santiago to the Biobio River, sandwiched between the Andes to the east and the Chilean Coastal Range to the west. River valleys bisect the Central Valley producing some of the most fertile land in Chile and giving rise to Chile’s most productive wine region. Within the Central Valley there are four principal wine growing regions – the Maipo Valley (cabernet sauvignon), the Rapel Valley in Colchagua Province (carmenere and cabernet), the Curico Valley (chardonnay), and the Maule Valley (inexpensive table wine). 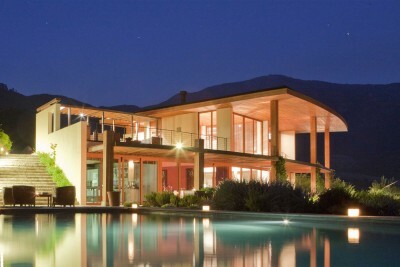 Full day wine tasting tours can be arranged from Santiago, and some vineyards also offer boutique-style accommodation.